Photo microbial fuel cells are bioelectrochemical devices capable of harnessing solar energy and turning it into electrical current with the help of bacteria, naturally occurring in organic material. The device takes advantage of photosynthetic organisms and uses them to extract electrons, protons, and oxygen from water. Because the organic processes continue also in the absence of light, the photo microbial fuel cell will also generate electricity in the dark. Microbial fuel cells offer sustainable, low-power options for monitoring pollutants, cleaning and desalinating water, and powering remote sensors and devices. In addition, a salt bridge allows protons to migrate from the anodic to the cathodic region to ensure the device’s electro-neutrality. 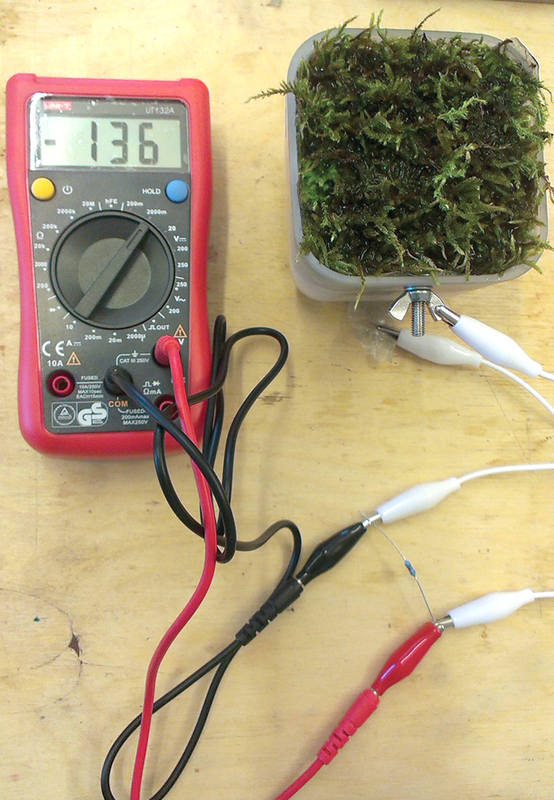 Whereas theoretically any photosynthesising plant could be used as a biological solar panel, the genus of bryophytes can operate as potentially better photo-active components in photo microbial fuel cells due to particularities in their photosynthetic process . 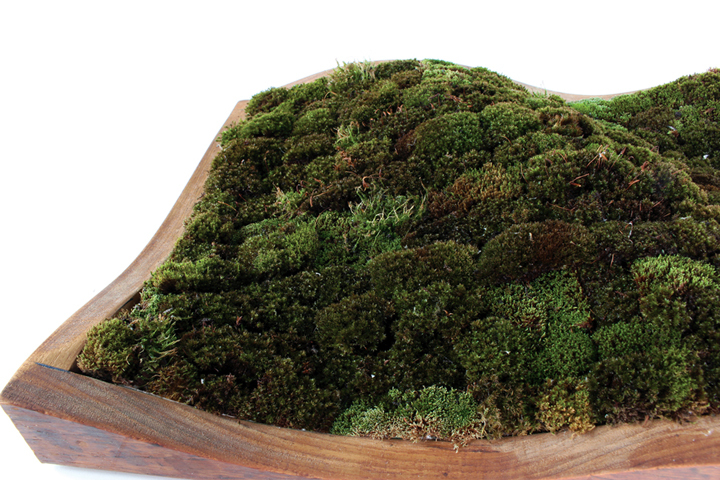 Simultaneously, mosses are very low-maintenance as they are extremely resistant to all kinds of adverse conditions and also quite simply deserve good press and are consciously promoted for their incredible uses and undervalued beauty. 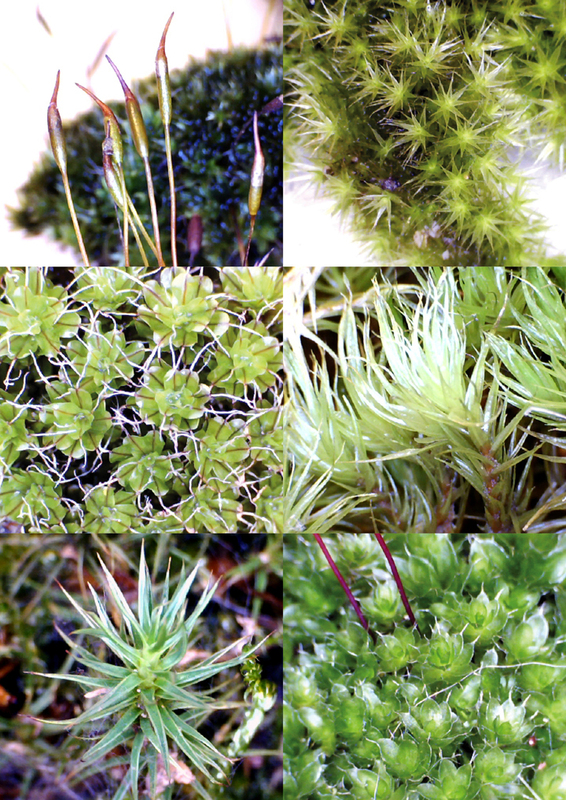 Several different moss species were grown hydroponically on substrates suitable for each species. 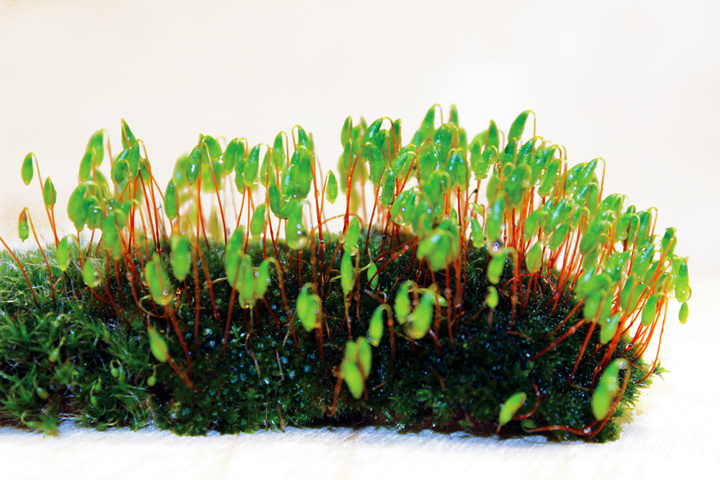 Initial experiments were conducted with a moss called Physcomitrella patens, which is popular for use in labs. This was provided in the form of filaments (protonema), which were applied onto various substrates, such as felt, hessian sack, etc. 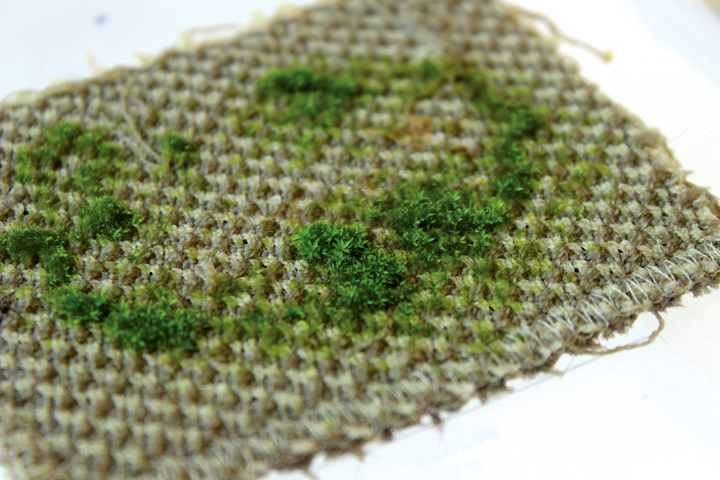 The growth worked best on a linen/carbon fibre mix and a biodegradable high-tech textile. The biggest issue was moulding. Although mosses tend to be anti-fungal, fungus grows faster and that’s when it gets a chance to take over. Overall it seems that the most successful materials must have hindered the fungal growth for long enough. The thickness of the filament applied played an important role as well. Further tests were performed with species collected from woods and the urban environment in and around London. In order to multiply small tufts, they were simply ground up and mixed with water. They were then spread onto a surface considered suitable for the species in question. Some of it went onto capillary felt, which is supposed to be rot-proof, with an almost invisibly thin layer of soil to provide nutrition for the first days. Others went onto fired terracotta tiles. Finally a chemical nutrient mix recommended by a bryologist was added. 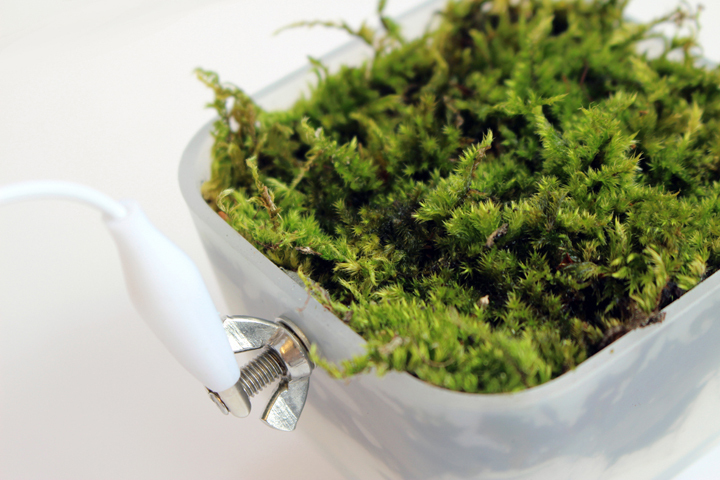 Many “home moss growers” will recommend adding a bit of yoghurt for example. This works for a wide number of species that like acid soil. But it won’t work for all species. After all 6 species from around 20 collected were chosen, based on ease of use and their visual appearance. After three months the plants grew to around eight times more surface from the small patches to begin with. Not everything was visible, but the entire surface was covered with rhyzoids (hair-like structures that allow mosses to hold on to their surface, as they don’t have roots), which meant that with time the entire surface would be visibly covered. Upon discovery of the capillary felt it was ground up and mixed it with carbon fibre to turn it conductive. This was the first step to the new water-retaining and rot-proof composite that was then used in the Moss FM photo microbial fuel cells. 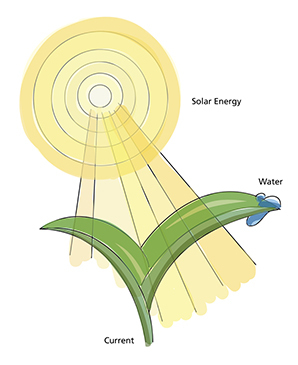 The product of the first stage, the light-dependent stage, of photosynthesis are protons and electrons, which are “released” due to naturally occurring bacteria. In the second, light-independent stage, those are then converted into sugars for the plant. 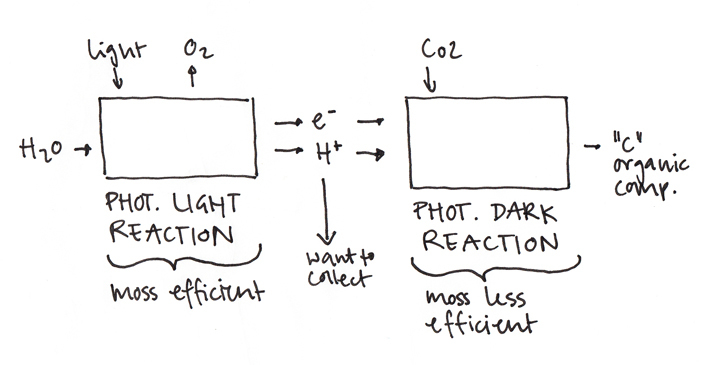 Because mosses grow slowly and convert electrons and protons gradually, they leave more to collect. Having basically created a battery with anode and cathode the electrons were allowed to potentially flow. The cells were then “trained” to become more efficient by closing the circuit with resistors and increasing the resistor strength over time. The currents are obviously small and the performance of the cells vary daily and between each other. Of course, if the technology is to be commercialised, the entire cell has to be built much more efficiently. But as an example, a representative value from polarisation curves is roughly 129 μA at 259 mV. But as currently only about 0.1% of electrons are captured, there is huge potential. Just recently it has been published that scientists increased the photosynthetic rate in plants with nanotechnology, which could make the technology even more efficient . In a design and architectural context, the most relevant benefits are insulation as well as preservation of the artefacts mosses grow on. In an urban context, they muffle noises, filter water and air, and they feature anti-fungal and anti-bacterial properties. Throughout history they have had myriad uses from medicine to food preservation, from construction to pottery, and from cleaning implements to furniture stuffing. 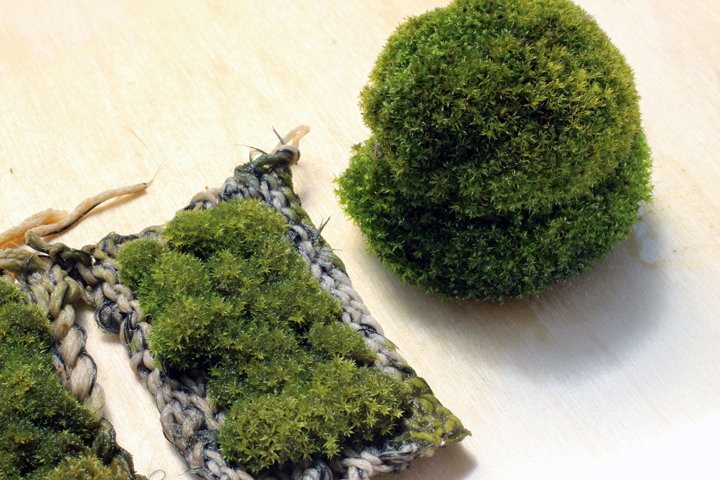 They also play a big cultural role in Japanese Gardens, where mosses are revered as a symbol for long life.